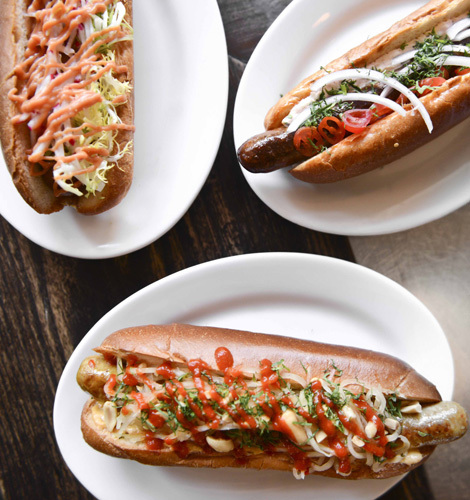 We asked the pros from Daniel Boulud's sausage joint to break down the steps for constructing the perfect game-day hot dog. Ballpark franks may be acceptable for baseball season, but when it comes to the Super Bowl, you need more than pale wieners and lifeless buns to set your party off right. 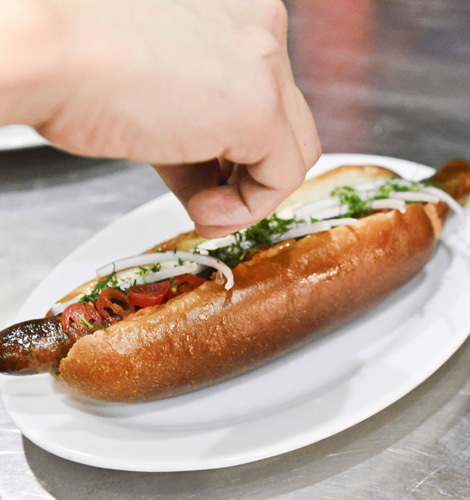 DJ Paul offered his essential backyard grilling tips earlier this week, but for some next-level expertise, we hit up chef Ian Vest and charcuterie whiz Aurelien Dufour of DBGB to school us on some basics of hot-dog construction and sausage-making. From fresh chorizo sausages drizzled with basil oil, to Tunisian-inspired links with mint yogurt and cherry tomatoes, these guys have mastered the art of tubular, encased meats. The key to success? Texture, color, and a bit of globe-trotting influence. 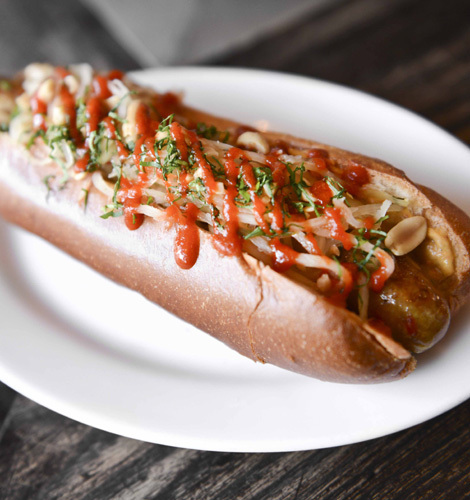 Here are their hot dog (and sausage) commandments. 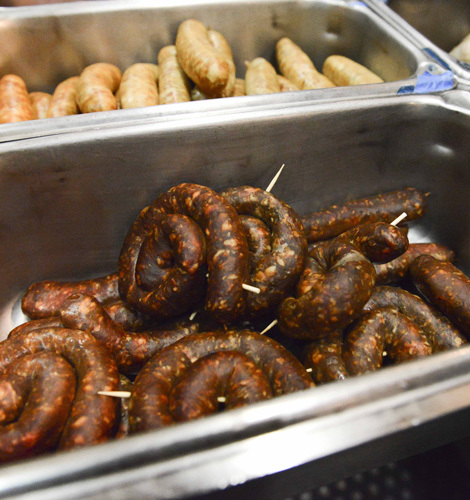 For those of you who want to step up your Super Bowl Sunday feast with homemade sausages, follow our GIF tutorial with DBGB charcutier Aurelien Dufour, who’s responsible for making all the sausages, terrines, and pates that pass through Boulud’s restaurant. These next few commandments will help you achieve pro-level link perfection.